Golden Era harks back to the Hollywood movies of the 1930’s and 1940’s. with images of cameras, film reels, press photographers and stars adorning the game. It’s a 5 reel, 15 payline pokie from the famous Microgaming developer that has a couple of bonus rounds like free spins with moving wilds and a pick a prize type game to add a bit of glitz and glamour to the proceedings. A wide betting range that goes from 0.15, with all lines automatically activated, right up to 300.00 a spin, makes Golden Era suitable for all but the very smallest and largest of bankrolls. Microgaming have a certain style that they apply to many of their games, with an elaborate cartoon design to the symbols and classy Art Deco theatre that surrounds them giving this pokie a smart appearance. Symbols are all related to the theme, with the lowest value one being the movie tickets. Get 3 of these across a line running from the left to the right and players will be in for a payout equal to 5x the line bet, while 5 of them right across the reels are worth 100x the amount staked per line. On the same level of the pay scale, we find some handprints in concrete, copying those outside the Chinese Theatre in Hollywood, while moving up it we see reels of film that are valued at 10x to 150x the line stake for landing between 3 and 5 on a line. There’s a movie camera, microphone and luxury car of the era, each paying out increasing amounts, while the highest value symbols start off with the paparazzi, who is worth up to 500x the line bet, while the old lady film star is valued up to 600x. Finally, we see a male star, the beautiful female star and as a suitably romantic ending, the highest value symbol is the two of them about to share a kiss, although this being set in more chaste times we don’t actually see the smooch itself. Rather than get sued by the estates of famous deceased film stars, Microgaming have wisely chosen to use made-up characters instead, but this doesn’t distract from the game at all. So that’s the regular symbols dealt with, but what is it that starts off the bonus rounds? The special event that players are likely to view most often is the appearance of a wild symbol. 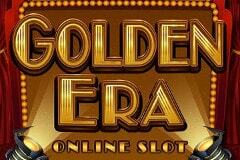 This takes the form of the Golden Era logo and whenever 3 or more come to a rest on a line, players get some big wins including the game jackpot of up to 530,000 coins at maximum bet. 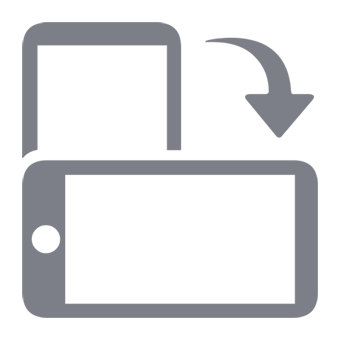 The wild also substitutes for all others, with the exception of the scatter symbol to help complete winning combinations, with the scatter itself being a clapperboard. This activates the main features of the game when at least 3 examples land on the reels at any time. It also pays out scatter wins, which are multiples of the total bet, not just the line bet, so it’s a pretty valuable symbol in a couple of ways. There’s a choice of bonus rounds offered to players. Picking the free spins starts 12 games with a unique Embracing Wilds feature. On the first spin, the male actor will be a wild symbol across the whole of reel 1 on the left, while the actress will be another wild on the right hand reel, while for the second spin they will move closer together to reels 2 and 4 and on the third they will embrace on the middle reel. The sequence repeats until the end of the spins, while any wins created by the stars together on reel 3 will be doubled in value. Picking the Double Feature Bonus takes players to the outside of a movie theatre which is decorated with 12 posters for various (made up) films. The aim of the game is just to click on each of them, uncovering bonus prizes, which can include a multiplier payout, and they all get added up until a ‘Pop’ logo is revealed and the round ends. A Classic Hit or a Turkey? Golden Era has a nice theme and style to it, as well as an ingenious twist to the free spins game that fits in perfectly with the subject matter. If there’s anything missing, it’s the option to gamble each win that features in many other Microgaming pokies, or the fact that the free spins can’t be re-triggered, but neither of these are the end of the world and shouldn’t put anyone off giving this game a standing ovation.